With the latest in luxury design and its unsurpassable comfort, the all-new Corbeau LG1 is a seat to be reckoned with. 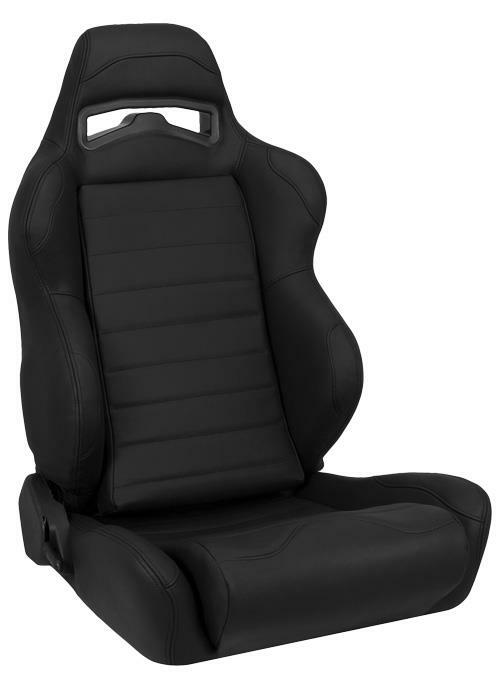 Standard features include: high-density injection molded foam, ergonomical design, harness belt capability, integrated shoulder, kidney and thigh support, leatherette high wear patches, and a fully adjustable seat back with a flip forward fingertip controlled lever for rear access. The LG1 will fit up to a 38” waist. The Wide version is 2” wider and will fit up to a 42” waist.